Hi everyone! I’m Crystal and I blog over at A Pumpkin & A Princess. I share easy craft tutorials, recipes (hope you have a sweet tooth! ), party ideas, home decor, and fun activities to do with kids. 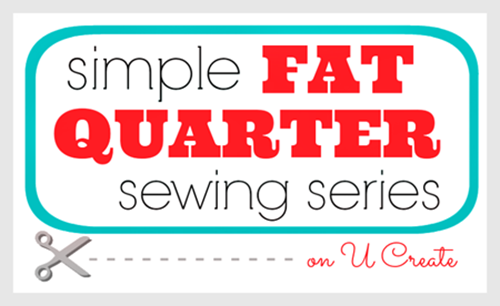 Kari and Becky are some of the sweetest girls I’ve ever met and I’m thrilled to be part of their Fat Quarter series. I would consider myself a beginner level when it comes to sewing. I like making my daughter basic twirl skirts, dresses, and other small projects. But what I really like using fabric for is home decor and fabric flowers! My house is filled with fabric projects like fabric garlands, lamp shades, and embroidery hoops. 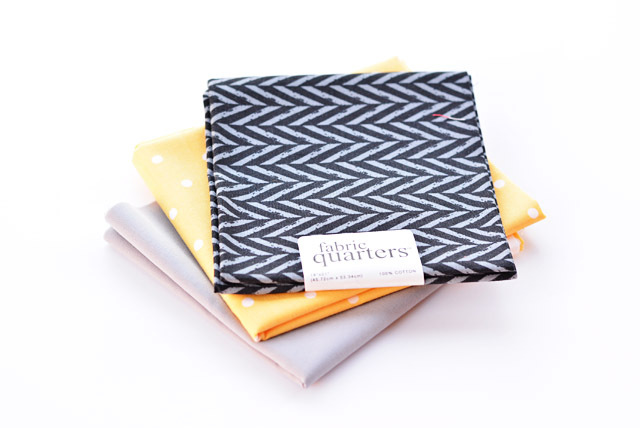 The possibilities are endless when it comes to fabric, especially with small sizes like fat quarters. They’re perfect for embroidery hoops and rolled rosettes. Our two toddlers share a room and we’ve been trying to find a color palette that works for boys and girls. We’re still narrowing it down but I’m leaning towards a grey, black, and yellow color scheme. 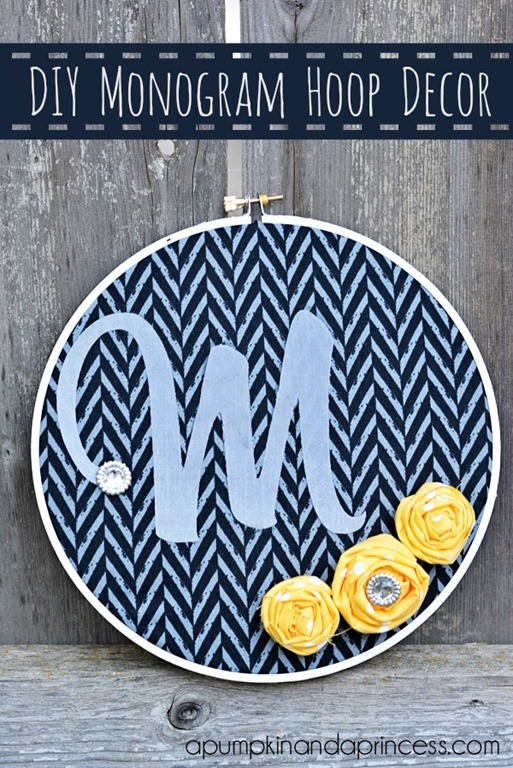 This embroidery hoop is a head start on the decorating…. To make the hoop I used a fat quarter from Jo-Ann’s, an embroidery hoop that I painted white, fabric scraps, and no-sew interface (I used Silhouette brand). I ironed on the “clean cut” interface to the back of my grey fabric. 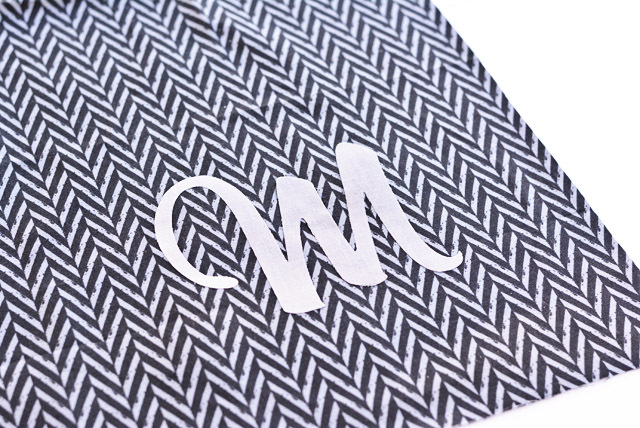 I thought it would be easier to avoid sewing the M but if I were to do make another hoop I’d definitely sew the letter on instead. The middle of the M didn’t quite iron on as nicely and I think sewing it on with white thread would have given it more detail. Then I made simple rolled rosettes and hot glued them onto the hoop. Then of course I added some rhinestones to make it a little glam for her side of the room. This was a very simple project and didn’t take much time at all to make. I’m hoping to cover a wall with embroidery hoops using fabric scraps and fat quarters. I think it’ll be a cute and inexpensive way to decorate the room. I love this adorable decor. Would make a darling gift, too. Those yellow rosettes are so cute. What a fun personalized gift!!! Thanks so much Crystal! 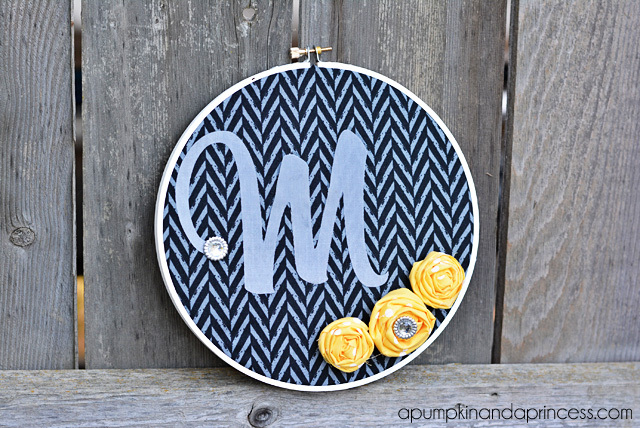 This is fabulous hoop art from using fat quarter! Thank you for the tip!